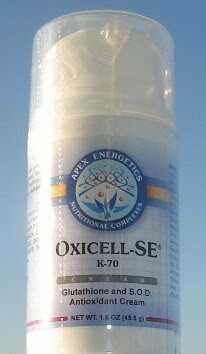 Protect Your Pets From Radiation With Oxicell-SE Now available in a convenient pump! With the ongoing nuclear crises in Japan, many people are looking for ways to protect themselves and their pets from radiation. Some media sources have recommended potassium iodide for short-term protection. Radioactive iodine is dangerous to the thyroid gland because it may lead to thyroid cancer. However, potassium iodide ONLY protects the thyroid gland--what about the rest of your body?